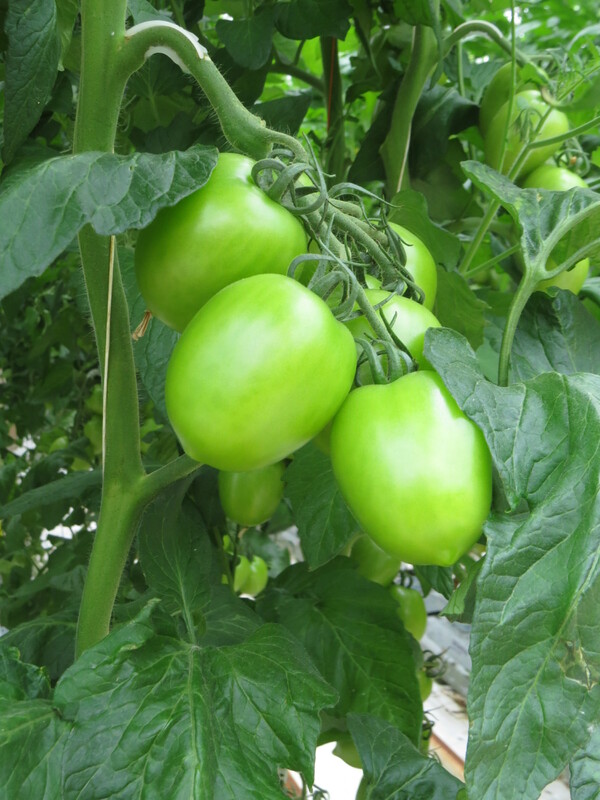 The beautiful Karaka countryside is home to Underglass NZ, the supplier of delicious red and green tomatoes from which Anathoth Farm creates our batch-made relishes: Sweet Chilli Relish, Hot Chilli Relish and Spicy Green Tomato Relish. 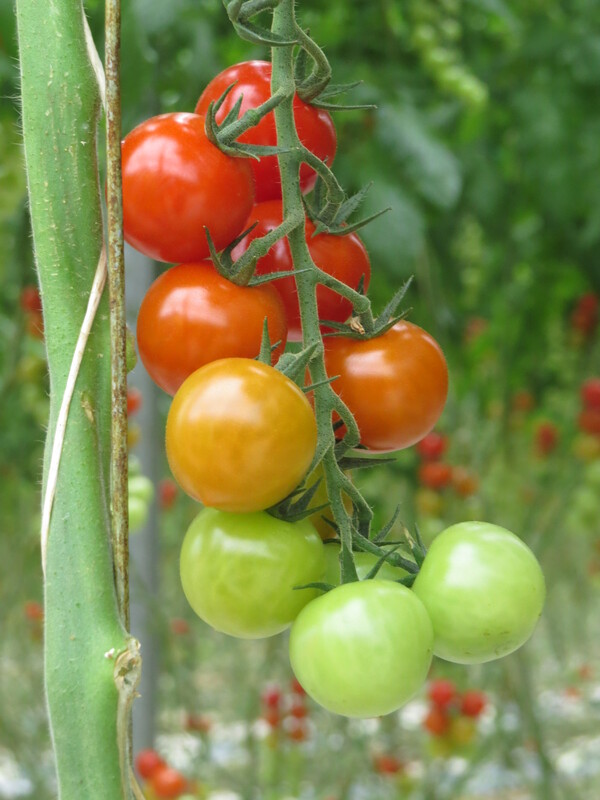 Underglass NZ is just that, completely under glass, with 15 hectares of growing space dedicated to growing tomatoes. You can literally get a work-out just strolling through the growing houses each morning! 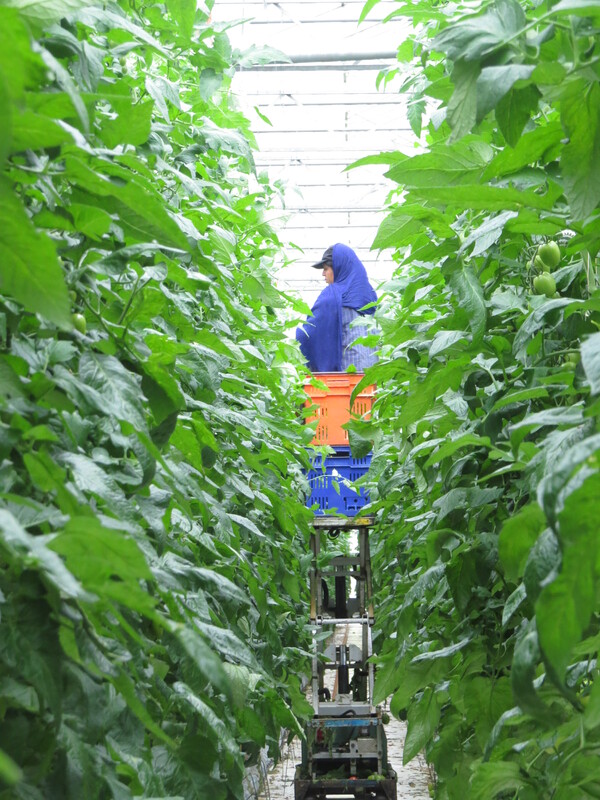 To produce world-class fruit and vegetables 365 days a year, Underglass relies upon green fingered, knowledgeable growers and technology. Weather stations are set up in each hothouse to monitor outdoor conditions. 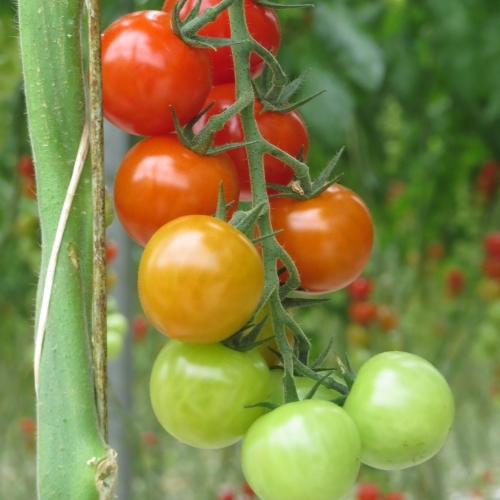 Growing under glass means that the weather affects both humidity levels and joules of sunlight required to grow a consistent level of quality year round. Growers keep a close eye on climate changes throughout the day, tweaking levels to ensure optimum levels of feed, water and heat are produced. Plants are grown hydroponically. Warm water, heated by natural gas, is pumped through pipes, warming the plants’ roots. 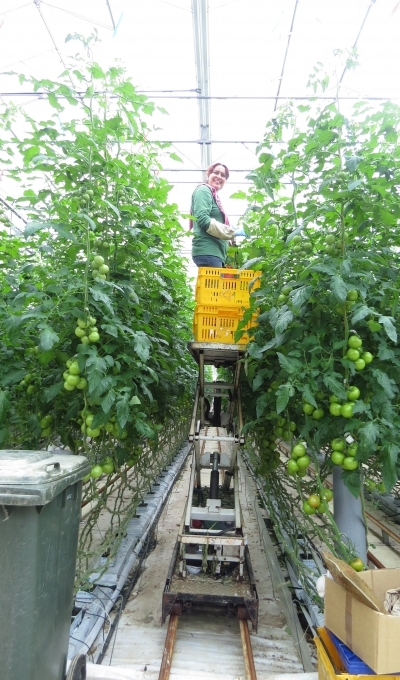 Natural gas produces CO2 which is pumped back into the glasshouse and the tomatoes love it too. Vines are strung up impressively high into the air and expandable height trolleys roll between the rows to aid pruning and picking. 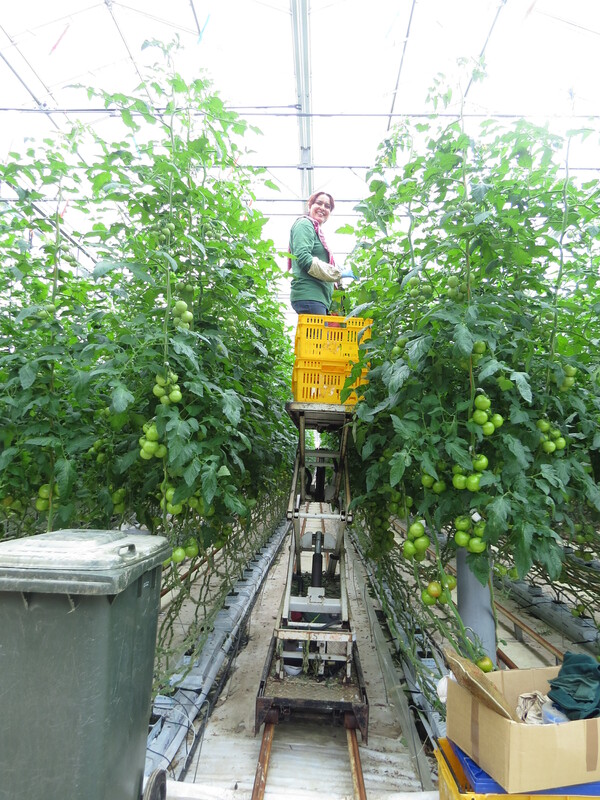 Growers need a passion for plants and a head for heights! To pollinate, humble bumble bee hives grace the rows. While the tomato flower has lots of pollen it has little nectar, so these wonderful creatures supplement their nectar cravings with sugar water. 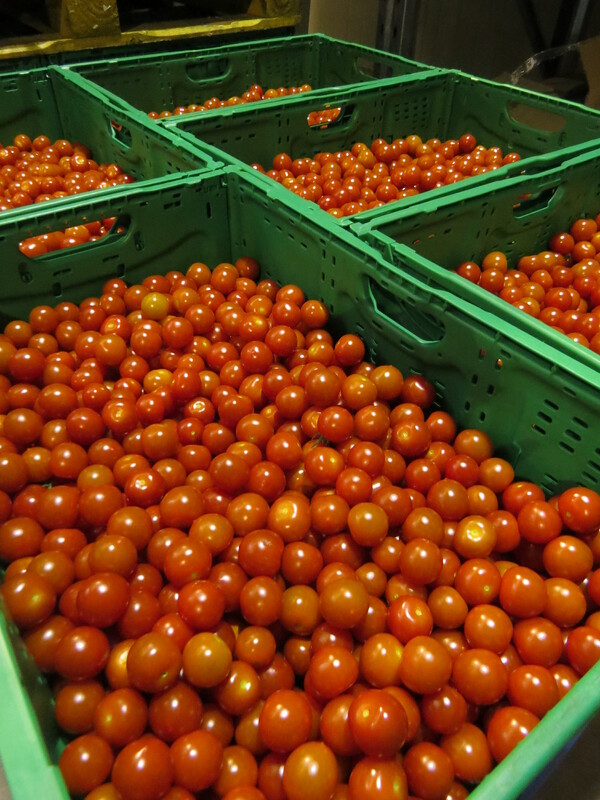 Red and green tomatoes are grown here, although the green tomatoes are immature reds selected by hand for our Spiced Green Tomato Chutney. 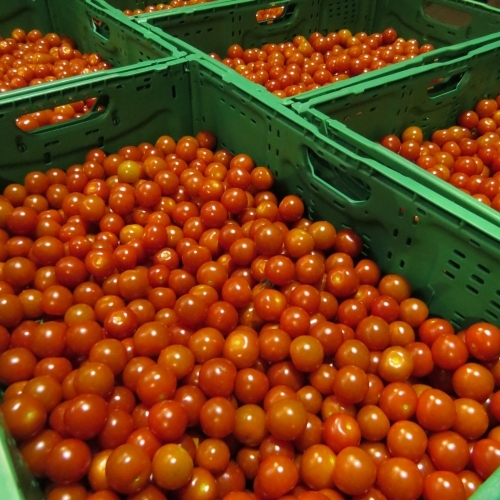 Fruit ripens within 24 hours in summer with humidity so it is important that everything is picked and packed within a day to ensure colour consistency. Being under glass doesn’t stop pesky pests keeping the fulltime ‘Pest Scout’ on his toes. 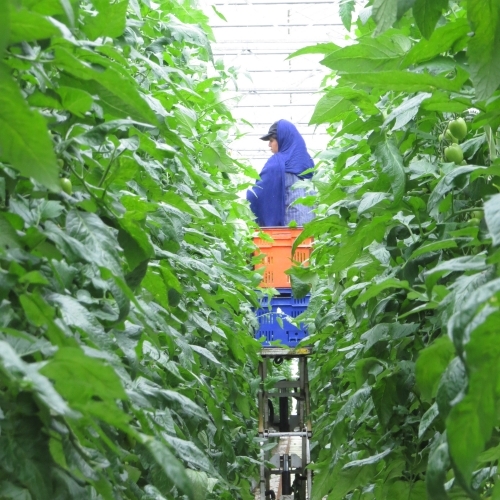 Every few weeks his job is to inspect every single plant (that’s tens of thousands of plants) reporting any pest activity. 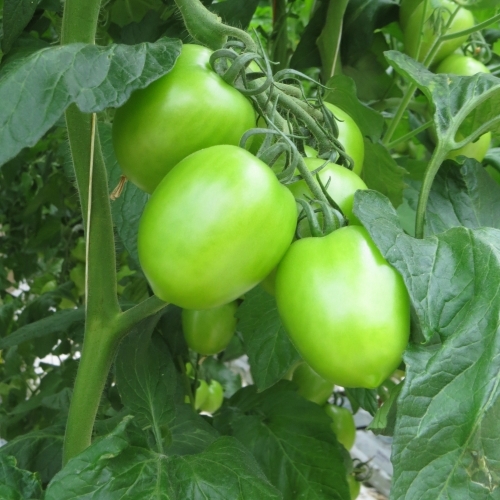 Whitefly (aphids) is a common problem, as you will know if you grow backyard tomatoes yourself. Where possible, Underglass uses natural ways of controlling pests by introducing good insects to rid the bad. 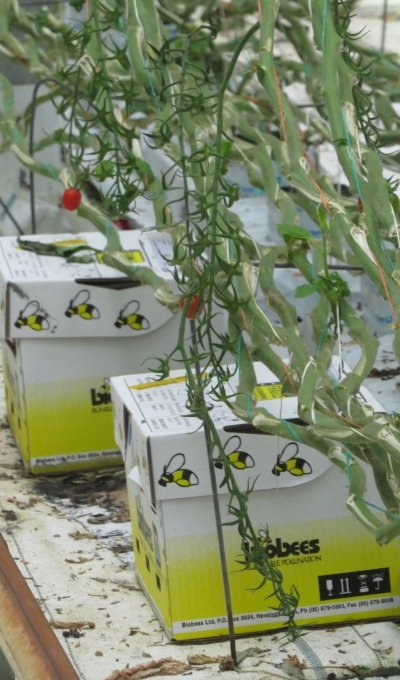 For example Underglass cultivates a concoction they’ve devised whereby whitefly eggs are bred and wasps are then introduced to lay their eggs amongst them. The eggs are dried and kept together as a ‘eco-dust’ of sorts, to be regularly introduced to the green houses. Once hatched, the wasps feed off the whitefly nymphs and lay further eggs, eliminating the problem. Job done! 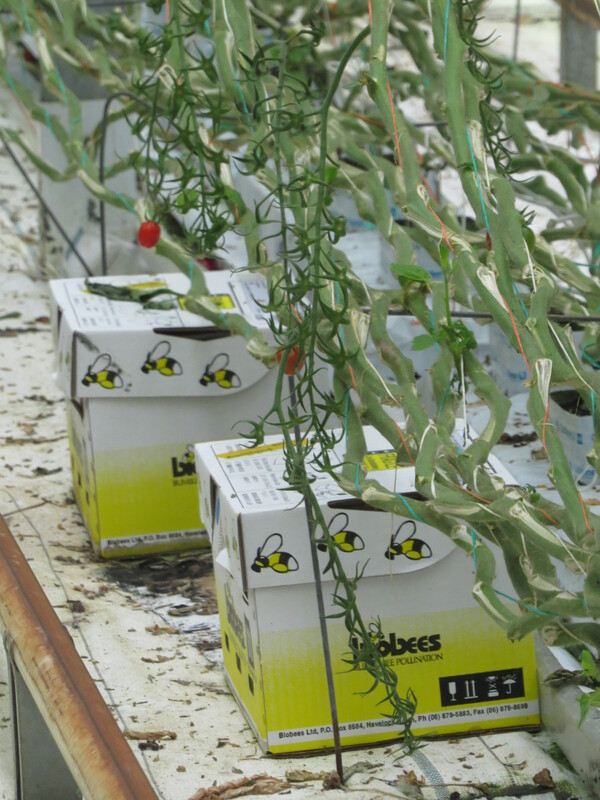 Bumble bees are used to pollinate the tomato flower, so soft sprays are used to target a particular pest, for example ‘plant soap’ is used which contains coconut extracts.